Florence and the Machine have unveiled plans for a spring North American tour, dubbed the "High As Hope Tour." It kicks off in Mayer, AZ, on May 10, making its way into Canada for stops in Toronto on May 26 and Montreal on May 28. The jaunt comes to an end in Miami on June 9. 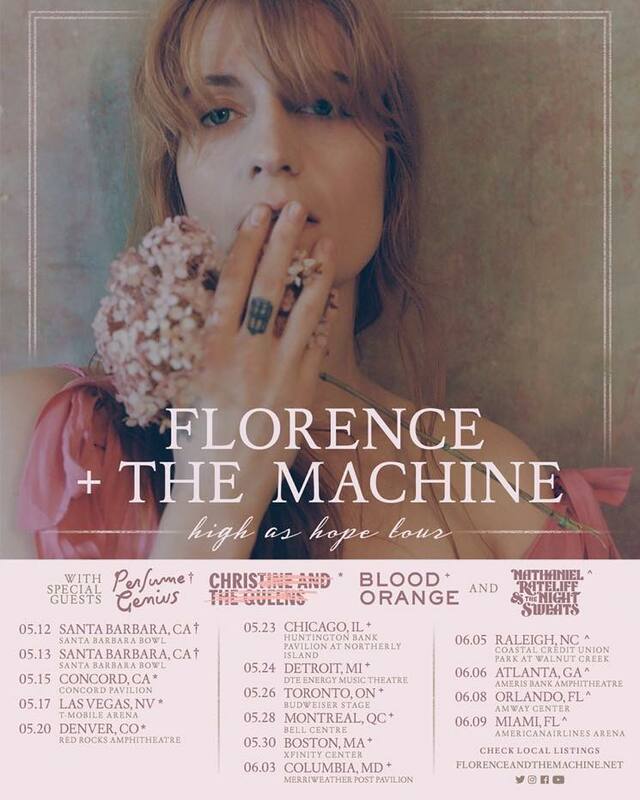 Throughout the tour, Florence and the Machine will be joined by high-profile openers at select dates, including Christine and the Queens, Blood Orange, Nathaniel Rateliff & the Night Sweats, and Perfume Genius. The dates follow Florence and the Machine's recently released singles "Moderation" and "Haunted House," which marked their first new material since last year's High As Hope. See the full upcoming itinerary below.